This Southwest Service Health Insurance Review will look at the company known as Southwest Insurance Service. Southwest serves the people in the southwestern part of Minnesota and takes an approach to insurance that is more creative than other insurance companies are. 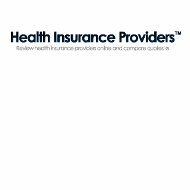 It offers a number of personal and business insurance policies to choose from, although traditional health insurance is not one of their main products. To receive information about health insurance companies you can fill in your zip code to compare health insurance quotes. Southwest Insurance is an independent brokerage that has the strength and stability of major insurance companies. The staff is experienced in the insurance industry and their mission is to make their professional experience and training available to their customers. Southwest Insurance Service has a number of risk management, procedural, and administrative tools available for their customers to implement. Part of their mission is to create effective and orderly workflow for their organization and their customers. When you are looking for insurance, whether it is for your personal use or business needs, you should consider many things. A big part of your insurance program should be risk management. Southwest Insurance Service believes that you should consider three essentials when purchasing the proper insurance. The first essential that Southwest Insurance believes in is that you should only risk what you can afford, and never more than in which you have the money. The second essential is that you should not risk too brutal a loss when there is a low probability of loss. In this case, the costs of the premium are low as well. The final essential to consider when you are purchasing insurance is to self insure part or all of a loss when the severity is low and the loss probability is high. In this case, the costs for the premium will be higher. In risk management, there are three main ways that you can handle the assorted exposures that you may face. One method of handling them is to assume the risk yourself. You first need to decide how much you would be impacted financially if you were to experience a loss. Decide which amount you would be comfortable with, insure for any loss above that amount, and handle any amount below that point on your own. You should only assume a risk if there is a small severity possibility of loss. If the severity possibility of loss is great, you should transfer the risk. The second method is to transfer the risk. When you have a great possibility of loss, you should choose this option. The risk will be transferred either to another party or to an insurance company. The third method of handling exposures is to reduce the risk. In order to reduce risk, you need a loss prevention program. This is a good option if the possibility of loss is high. Techniques of loss prevention will help you deal with the particular exposure that you are dealing with. When you use an established loss prevention program and reduce losses, your premiums will also be reduced. During your term of coverage, Southwest Insurance provides a number of different services to help you with your needs. One is management services. These services help you organize and prepare aspects of your insurance procedures and paperwork. They also help you keep a complete record of claims as well as prepare paperwork such as an insurance summary for auditors. Worker’s Compensation Services help you review and analyze possible causes of loss in the workplace. It reviews records and procedures to help reduce your risk. Property Services include an evaluation of your property and a review of insurance policy definitions in relation to current values. If you would like to take a quick moment to enter your zip code, you will be able to compare health insurance rates for multiple companies.